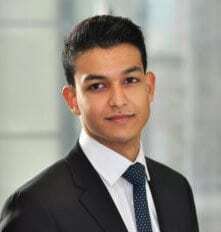 I joined Deloitte’s Finance Consulting graduate programme after finishing my Accounting and Finance (BSc) degree at the University of Warwick. It was at a careers fair at University that I first became interested in working at Deloitte. I got to understand more about the different service lines they offer (Audit, Tax & Consulting) and was impressed by the emphasis on tailoring graduates’ skills and development according to the individual’s requirement. The firm ensures training and support are provided to all new analysts, commencing with a six week induction course designed to provide a practical example of the type of work undertaken by Deloitte. Beyond this, Deloitte has a strong developmental culture and encourages graduates to pursue professional qualifications such as the CIMA & CFA. Working as part of Deloitte’s Consulting team has been a rewarding experience. Graduates are challenged from the start, expected to provide input and are often given exposure to senior client members. For example, within two weeks of starting my first project I was working with the Financial Directors of a FTSE 100 Consumer Business client. One of the most interesting aspects of working for Deloitte is being at the forefront of business change across a range of industries. For example, our focus on driving a digital approach across client business models is transforming the way organisations interact and serve stakeholders. I have also benefitted from Deloitte’s unique position and reach within the professional services market. Being able to work with a variety of clients, including multinational banks, police forces and an aerospace manufacturer. As a member of the Finance Consulting team, I’ve been involved in projects ranging from helping the client understand opportunities presented by digital to their finance team to operating model redesign. The work I do on a day-to-day basis changes all the time and that’s something I enjoy about Consulting and Deloitte. For example, in recent projects I have visualised an interactive resource model and facilitated workshops to capture client processes. Deloitte places great importance on future planning for each individual and the career progression pathway is clearly defined. Employees are encouraged to continually set development goals and reflect on performance as a way of taking control of their career. Personally, I see myself continuing at Deloitte and working towards more senior capability.